From day to day life, foods and drinks that we put into our mouths can leave the surfaces of our teeth stained and sometimes no matter how hard you brush, these marks can’t be shifted. Stain removal works by mixing air, powder and water together to jet wash your teeth. 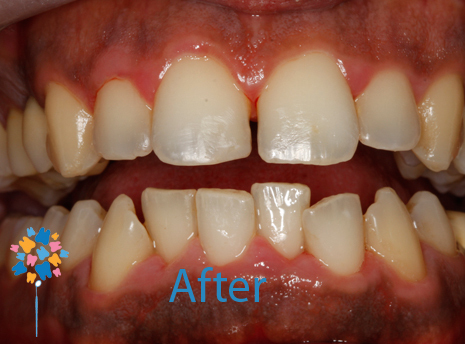 The combination is not abrasive and will not damage the teeth, just look, the results speak for themselves!